One Direction Four Tops The Charts! One Direction have gone straight to number one in the UK albums chart with their fourth studio collection FOUR. The five-piece sold 142,000 copies of their new record in its first week of release, making it their third consecutive chart-topping album. Their last album, 2013's Midnight Memories, was the biggest-selling release of that year. Ed Sheeran spends a 22nd week in the top ten with x, which climbs one place to number two, while Sam Smith's In The Lonely Hour also rises one place to number three. Last week's number one album, Pink Floyd's The Endless River, drops three places into number four, while the top five is completed by Foo Fighters' Sonic Highways. Bette Midler's new girl group song collection It's The Girls enters the chart at number six, and gives the iconic singer her first top ten studio album in almost 24 years. One Direction Night Changes Music Video! One Direction Night Changes Live Performance! 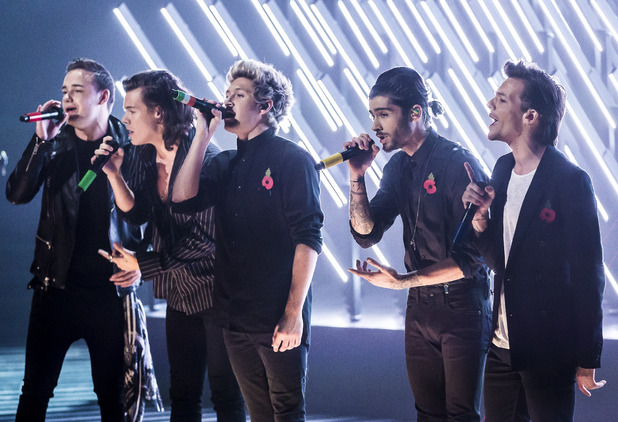 One Direction Steal My Girl X Factor!